The thermal prehistoric sea pools and pool complexes with heated sea water are perfect for water adventures. The bubble-me coloured bath will impress your kids with its coloured bubbles, while Vichy or Ayurdevic massage will ensure your kids are relaxed and feel well. 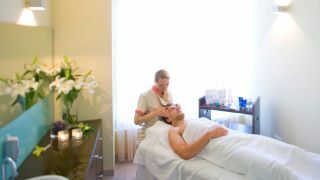 So you can relax and enjoy yourselves carefree at one of Terme Portorož's seven wellness centres, our team has taken care to organise a complete family experience for you. Restore your youthful look and vitality. Enjoy a complete relaxation in a genuine Thai environment. Choose a natural approach to feel better. Go to the sea for beauty and health. Gain a radiant complexion and rejuvenate your body and spirit. Forget about time, worry and stress. 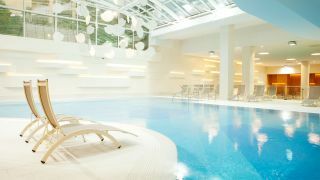 Experience the primal energy of the thermal Prehistoric Sea.